the actual and likely number of claims submitted, or to be submitted to the Trust for compensation. the provision of information and advice services to persons and families of persons affected by ARDs, caregivers and medical practitioners. Medical assistance for beneficiaries suffering from Asbestos-Related Diseases. The use of funds for these purposes and the choice of projects that receive support is at the sole discretion of the Trustees. The ART will not consider applications that do not have a direct link to the abovementioned objectives and funding principles or from “for-profit” businesses or enterprises. Applications for funding must be submitted in the approved format to the executive management of the Trust for assessment and submission to trustees for approval. Executive management of the Trust will monitor the performance of any projects supported by the Trust, including compliance with any grant conditions, and report back to the Trustees. The talks will cover several occupational health issues, not solely focus on asbestos concerns, as a broader range of topics will encourage more attendees. From previous experience, we expect approximately 20 health professional from surrounding areas to attend. Health professionals come away with greater understanding of, and appreciation for, current issues in occupational medicine, as well as the work, carried out by both Asbestos Relief Trust and Kgalagadi Relief Trust. CPD points will be awarded for attendance. The purpose of the training is to equip PHC nurses with the knowledge and skill necessary to take an appropriate occupational history and refer suspected occupational disease cases to the next level of referral, i.e., the employer or the district hospital. Their role is to have a high index of suspicion for work-related problems and knowledge of referral systems. Through the early detection of disease, these nurses can contribute to the timeous identification of potential problems and provide a referral for the proper management, prevention of further deterioration, compensation and/or rehabilitation of an employee/patient. PHC nurses who complete this course will be better equipped to identify occupational ill health. The Asbestos Relief Trust and the Kgalagadi Relief Trust jointly fund a palliative care programme, administered by a nurse who provides palliative care services, support and counselling to individuals diagnosed with asbestos-related cancers in the greater Kgalagadi district. The Cancer Charity Workers (CCW) is a community- based group operating in the Kgalagadi district which provides assistance and support to cancer sufferers including sustenance to individuals attending the oncology clinic at Kuruman Hospital, transport to doctors’ appointments and assistance with purchasing medicine. The programme is being jointly funded by Asbestos Relief Trust and the Kgalagadi Relief Trust. The Asbestos Relief Trust has donated medical equipment to several government hospitals and primary health clinics in the Northern Cape, Limpopo and Mpumalanga provinces. Through these donations, the Trust aims to improve access to and provision of health care to local communities. Kuruman Hospital, Embhuleni Hospital, Barberton Hospital, Rob Ferreira Hospital, Themba Hospital, Shongwe Hospital, Sabie Hospital and several primary health clinics in the Kgalagadi district. Research is currently being undertaken into the immediate future on the legacy of asbestos mining and its on-going impacts on people and the environment, and the unfinished business of rehabilitation and support for past victims of occupational and environmental exposure. The aim of the study is to estimate mesothelioma incidence and mortality using the probabilistic data linking method, based on mesothelioma data from the National Cancer Registry, StatsSA, PATHAUT (NIOH miners autopsy database), and the ART and KRT database. Determining the differences in trends in reported mesothelioma death in South Africa, which is important for epidemiologic surveillance. The research was commissioned into whether Penge was suitable for human settlement following plans by the Limpopo Housing and Development Department to develop a township on the site of a defunct asbestos mine. The research was commissioned into the spending patterns of successful claimants. The purpose of the research was broad to investigate how compensation monies are being used and to determine the effect of this expenditure on the claimant, the claimant’s family and the community. The objective of this study is to develop a model to accurately predict the number of cases of mesothelioma among potential and successful claimants in the next 15 to 20 years. It is important for the Trusts to estimate the number of future cases as accurately as possible, to allocate remaining funds. This research is being funded by the Asbestos Relief Trust and the Kgalagadi Relief Trust and is ongoing. Mr Piet van Zyl, an Asbestos Relief Trust Trustee and Director of Gefco and Msauli Beperk, is documenting the history of the asbestos mining industry in South Africa. This project is being funded by the Asbestos Relief Trust and is ongoing. The objective of this project is to construct a virtual library of Southern African literature concerned with asbestos. The topics will include; asbestos related disease; mining, milling and production of asbestos; manufacture of asbestos products; the geology of asbestos; asbestos in the environment and the workplace; legislation, regulations and best practice recommendations. This library will be in the public domain and where copyright allows the complete article will be made available in an electronic format. A bursary awarded for study towards a two year part-time Diploma in Occupational Health (DOH), or similar course at a South African university. Previous bursary recipients have completed the DOH at the University of Cape Town and the University of the Witwatersrand. This bursary programme is jointly funded by the Asbestos Relief Trust and the Kgalagadi Relief Trust. The Supedi maths programme aims to up-skill educators in teaching maths to learners through the use of manipulatives, which are especially designed tools/materials used by learners that aid the learning process. This was a social responsibility initiative aimed at improving the lives of people from former asbestos mining communities. 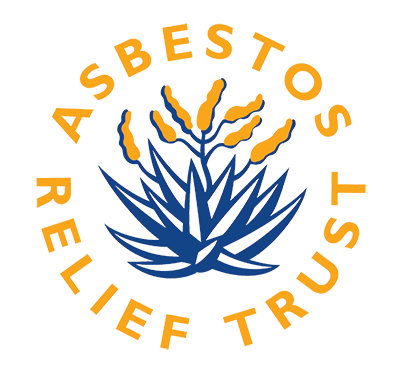 The Asbestos Relief Trust and Kgalagadi Relief Trust sponsored the programme in several former disadvantaged schools within former asbestos mining communities in the Northern Cape, Limpopo and Mpumalanga. The Asbestos Interest Group (AIG) is a Kuruman-based community activist and advocacy group which was instrumental in the legal case that led to the creation of the Asbestos Relief Trust. The AIG continues to lobby around asbestos-related issues and is active within the greater Kuruman/Kgalagadi community. The Asbestos Relief Trust and the Kgalagadi Relief Trust support the AIG’s education and advocacy initiatives through the provision of a monthly grant. The establishment of the Asbestos Coordinating Committee of Kgalagadi (ACCK) was an initiative by the Asbestos Relief Trust to form an advocacy group consisting of stakeholders from communities, civil society and government, within the Kgalagadi district, to address the lingering asbestos legacy in the region. The ACCK disbanded in 2011. The Asbestos Relief Trust and the Kgalagadi Relief Trust supported the ACCK’s initiatives through the provision of a quarterly grant. The National Asbestos Conference was held in October 2008 in Johannesburg. The primary objective of the conference was to address the continued legacy resulting from asbestos mining in South Africa and to place these issues on the national agenda. The conference was jointly funded by the Asbestos Relief Trust and the Kgalagadi Relief Trust. The conference report is available on the following link.